Well Fed Soul: Holy Crepe! So says my six year old, upon tasting tonight's dinner. 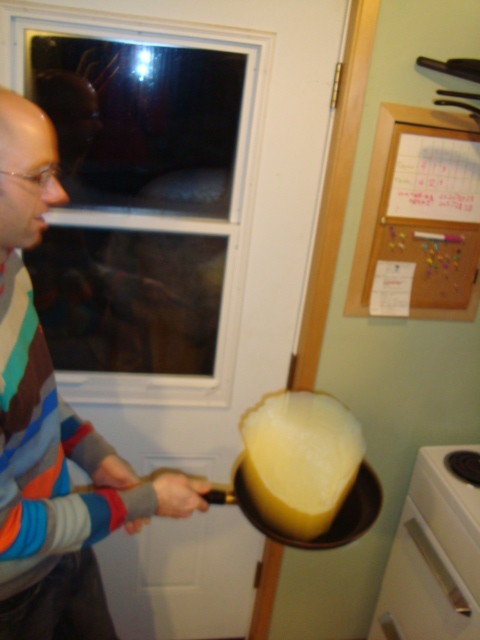 Which was, in honor of Pancake Tuesday, crepes. The entire quote: "Holy crepe, these are good!" What can I say? We do place an emphasis on food appreciation around here. Not, perhaps, so much on censorship. 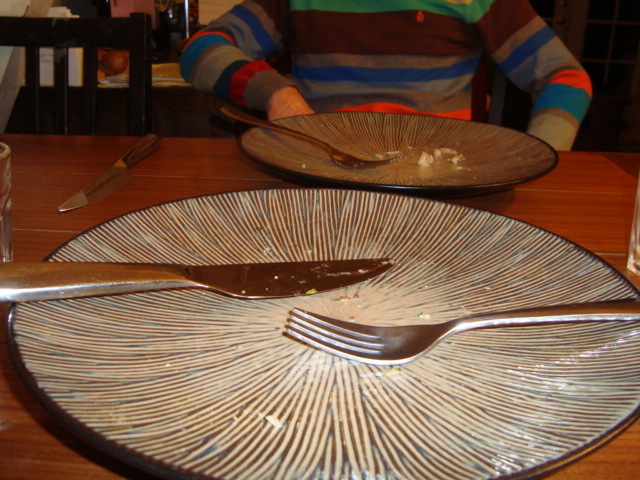 I lived my first 25 years without ever hearing of Pancake Tuesday. Shameful, really. Especially to those of you who do know about it. Today being Shrove Tuesday, and my husband being English, it's a tradition to have crepes (Pancakes, if you're English, I assume as a certain little hand gesture toward the French. Whom I adore, incidentally.) Apparently, this began as a way to clear out the tempting, sinful goods in cupboards before the Lenten fast. But for us, as well as many others, this is yet another excuse to eat something delicious. I will continue to live, or at least eat, in sin, for as long as I wish, thank you very much. And since I do so enjoy mixing things up, bastardizing, if you will, I adapted, and I mean adapted, a mushroom recipe from My French Kitchen, by Joanne Harris & Fran Warde. (A little aside here...Given my obsession with all foods French, you can imagine that I may rave about this cookbook. And I do. I also rave about Joanne Harris' other novels. She is, quite simply, brilliant.) Anyway, back to it. I rather loosely followed her perfectly wonderful recipe, which isn't for crepes, but for some lovely mushrooms, cooked with shallots and wine and grainy mustard...finished with a slog of cream. Oh, deliciousness. 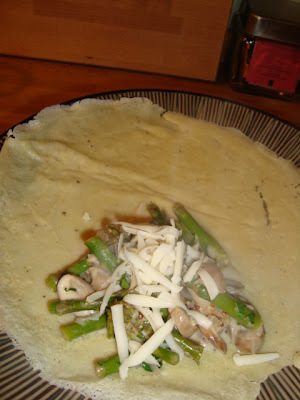 But, I needed something to stuff these crepes with tonight, and while she has a beautiful recipe for a leek filling, well, the leeks aren't doing wonderful things around here of late, and I got some perky asparagus, that needed to be eaten. Tonight. In crepes. So here you go. Incidentally, I should confess. I do not do the actual crepe making around this place. I do pretty much all of the other cooking, baking, and general feeding. 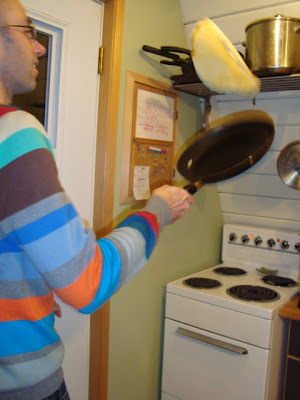 Crepes, sorry, pancakes, he says, are his realm. And his are marvelous. But, maybe due to the free-spirit artist part of him, he doesn't measure ingredients. 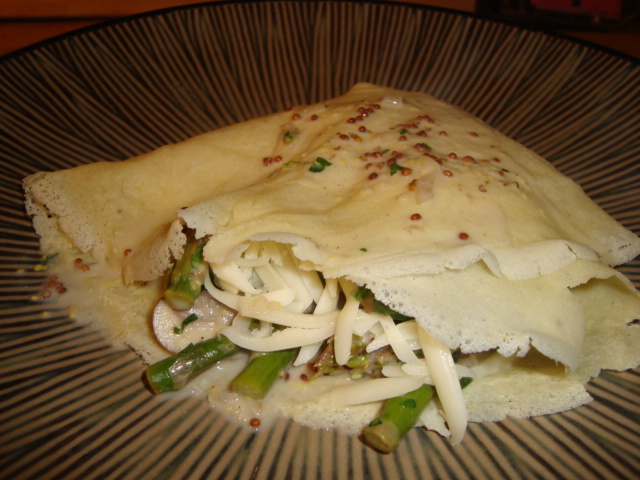 I know most people have a good crepe recipe already though, and if you don't, I'm sure you can find one on Epicurious or something. What I can tell you is that he puts a bit of salt and freshly ground pepper in them, and that, dear people, makes them great. 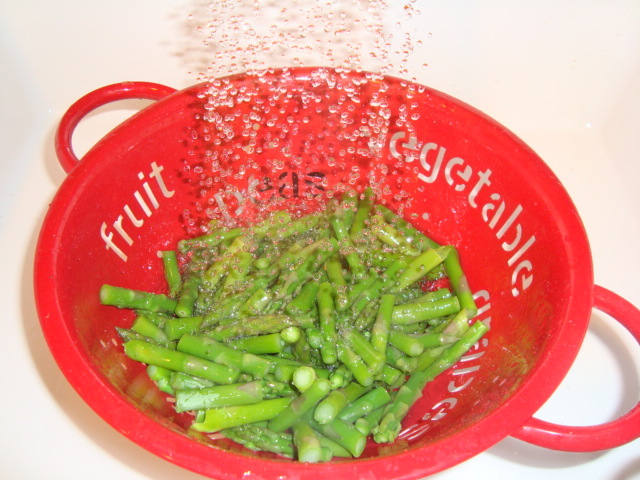 Blanch the asparagus in boiling water, three minutes, then drain and rinse under cold water. Pat dry with tea towel, or paper towels and set aside. Heat olive oil and butter over medium heat, and add shallots, garlic, and mushrooms. Season with salt and pepper, and cook, stirring often, until mushrooms are golden, about 8 minutes or so. Add wine and lemon juice and turn heat to medium high, allowing wine to reduce a bit, about 4 or 5 minutes. Add in the asparagus, dijon and cream, check for seasoning, and simmer another 2 minutes. Pretty simple right? I filled the crepes, erm, pancakes...whatever! with a sprinkling of gruyere, topped with the filling, folded, then drizzled a bit of the sauce from the mushrooms over the top of the crepe. And to quote my witty offspring: "Holy Crepe!" It was, indeed, good. As you can see. Happy Pancake Day to you.